Professional dental cleanings help to prevent tooth decay and preserve and strengthen your gums and teeth. A good dental hygiene regimen at home is a key part of your overall dental health as well. It is important that your child learns the value of preventative care at an early age. 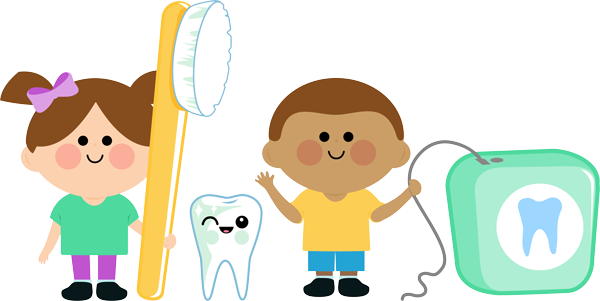 Dr. Hamamcy focuses on educating your child, so that they are equipped to develop healthy habits that will keep their smile healthy and beautiful. Your child’s smile is a gift. Help them share it with the world by keeping it clean and healthy! Call our office today to schedule your child’s next exam and cleaning. There are tiny grooves and pits on some teeth that can make it difficult to keep food and plaque from causing decay in your child’s teeth. A Dental Sealant will allow our team to essentially “seal out” these harmful “sugar bugs” and drastically reduce the risk of decay and the need for fillings. This treatment is fast, effective, painless and can be completed in one visit. Dr. Hamamcy and her team will perform a routine cleaning, and then the teeth to be sealed will be conditioned and dried. The sealant material is flowed into the grooves of the tooth and then allowed to harden while your child is still in the office. There is no shot, no scary “drill” and most patients experience no pain. These sealants can preserve your child’s teeth for many years if they are cared for properly. 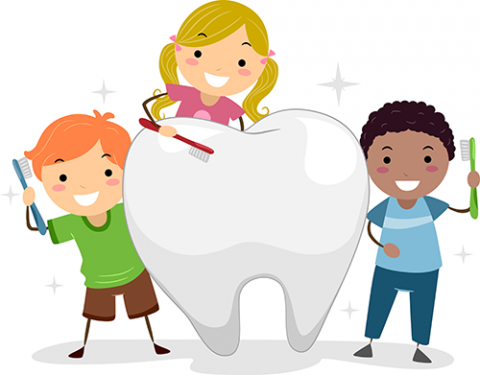 Sometimes, the best option for your child is to remove a tooth. If the tooth is significantly damaged or decayed, impacted or stuck in the mouth, has had trauma causing dental complications, or, in some cases, if the tooth is in the way of planned orthodontic treatment, Dr. Hamamcy may extract it. Extractions in pediatric patients are fairly simple and typically are relatively fast to complete. 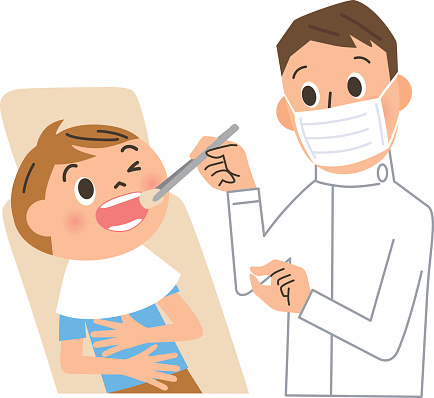 Your child will receive a local anesthetic near the troubled tooth to help keep them from experiencing any pain. After the procedure is completed, our office will give you specific instructions for the rest of the day and your child can typically resume their normal day-to-day activities in about 24 hours. We do our best to make each visit comfortable and offer many options to your child to help reduce their anxiety. We have Nitrous Oxide (Laughing Gas) as well as sedation options both in our office and at the hospital, should your child need extensive care. Inside of every healthy tooth is a small space that holds nerves and soft tissue. This space is known as the pulp chamber. When the soft tissue in the pulp chamber becomes inflamed or infected, Dr. Hamamcy may recommend that the nerve be removed. This procedure is sometimes referred to as a “baby root canal”. Dr. Hamamcy will begin by numbing the area to be treated. Next, she will make an opening in the top of the tooth in order to access the pulp chamber. Dr. Hamamcy can then remove the nerve tissue from the pulp chamber, and place a medicated filling to help seal the tooth and prevent bacteria from entering in the future. Unlike adult teeth, this just takes a few minutes. In most cases, we will advise that a stainless steel crown be placed over the tooth to ensure it is stable and secure until the permanent tooth can replace it. The pulpotomy procedure is very common and can often be completed in along with other dental treatment such as fillings, in order to minimize the number of times your child will need to return to the office for treatment. A crown is a type of restoration that will surround and cover the affected tooth, protecting it from future decay or damage. Dr. Hamamcy may recommend a crown if your child needs nerve treatment (pulpotomy and pulpectomy), if your child has a cracked or fractured tooth, if a tooth has developmental issues, or if there is a large area of decay that a simple filling cannot correct. 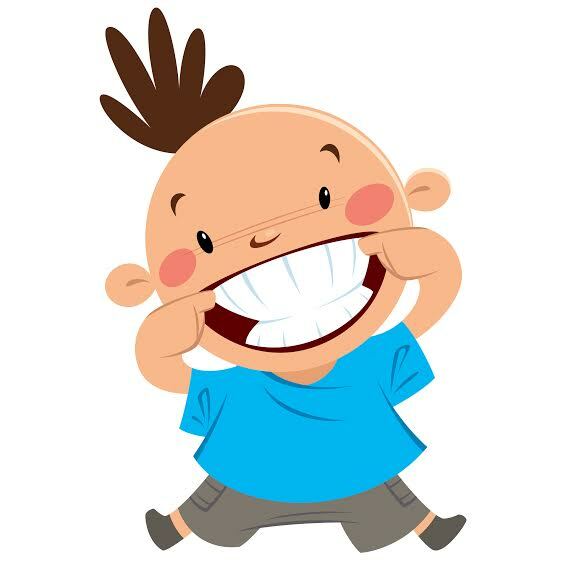 In most cases, Dr. Hamamcy will typically recommend a stainless steel crown that will protect your child’s primary(baby) tooth until their permanent tooth comes in naturally. We do our best to make each visit comfortable and offer many options to your child to help reduce their anxiety. We have Nitrous Oxide (Laughing Gas) as well as sedation options available in our office to help make this experience as pleasant as possible. If a baby tooth is lost before it is ready to come out naturally, the teeth next to it can shift or tilt into the empty space. The teeth in the opposing jaw can also move up or down to fill this space. When this happens, the permanent tooth no longer has the proper space to come in properly. This results in the permanent tooth coming in crooked or crowded among the teeth next to it. This will typically require your child to undergo orthodontic care to correct these issues. A space maintainer can be placed to hold this space open for the permanent tooth to come in properly. It will steady the remaining teeth and keep them from moving until the permanent tooth can come in naturally. This will allow the tooth to come in a natural straight position, and could prevent expensive orthodontic treatment in the future.